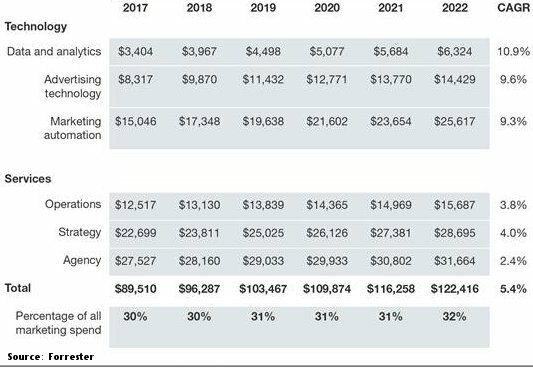 Marketers will invest more than $122 billion in marketing technology expenditures by the year 2022, according to estimates released by Forrester Research. That’s an increase of 27% from the $96.3 billion Forrester estimates they will spend this year, including outlays on both technology and data/analytics. 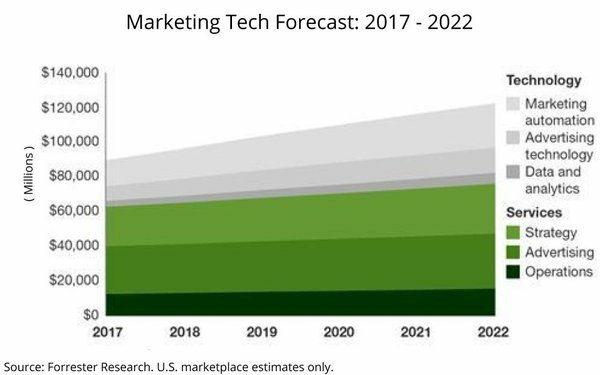 According to the report, the share of marketing budgets going to marketing technology will also go up, from 30% today to 32% by 2020.